We invite you on a journey of a lifetime. 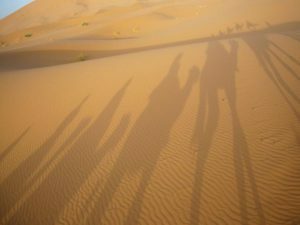 Witness the power and beauty of nature through the birth of the day, at sunrise, blessing the day and the land with its majestic view of the truly magnificent landscapes as we walk and drive through the mountains, valleys, gorges to get the highest dunes in Morocco (Erg Chebbi, Merzouga). 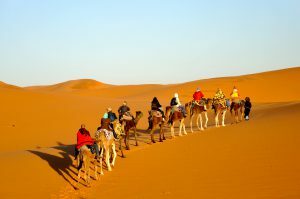 As we travel through the desert, you will unburden yourself from the worries of time, awakening your senses in the endless miles of the Sahara. Inhale the fresh air, sip and smell the fragrant teas of Morocco. 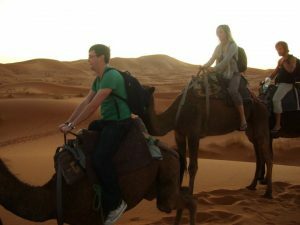 As you experience the nomadic way of life, embrace the quiet sitting by the flickering fire as the day comes to a rest, look at the stars in the sky at night and listen to the nomads as they play their music, bringing their historic culture and the ancient desert to life, feel enriched as African adventures become a reality. Come with us and together we will taste the exotic. 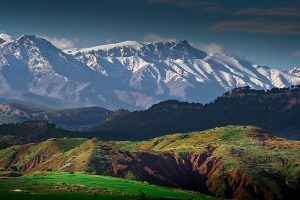 We’ll leave Marrakech early morning and pass through the Atlas Mountains. We’ll stop along the way for breakfast and photo stops. As we make our way into the desert, we’ll stop at Ait Benhaddou, a UNESCO-protected Kasbah featured in many movies including Lawrence of Arabia, Gladiator and Jewel of the Nile. We’ll enjoy lunch in the Hollywood of Morocco, Ouarzazate before visiting the Taourirt Kasbah and a tour of the city. We’ll spend the night in Ait Benhaddou. After breakfast we head to Boumaine Dadès where we will explore the gorges. We’ll head to Tinerhir after lunch to explore the Todra Gorge where we’ll cycle between the sheer walls of this stunning gorge. We’ll spend the night in the Todra Gorge. We’ll stop for lunch in the small village of Tinjdad and then pass through Arfoud, Rissani and our final destination for the day, Merzouga. We’ll have time to relax by the pool of Kasbah Palais before we begin our camel ride. 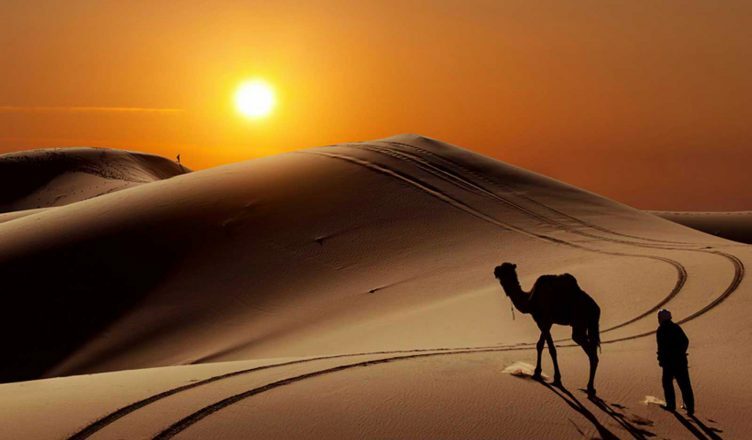 We make our 1.5-hour breath taking and tranquil journey as the sun is setting across the desert. Once at the camp, we’ll enjoy traditional Moroccan cuisine while the nomads entertain us with their music by the fire. 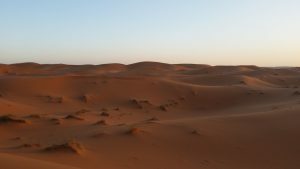 We’ll awake early to see the sun rise over the Sahara Desert before climbing back onto the camels and making our way back to the hotel for breakfast. After breakfast, we’ll take a different route back, passing through Rissini Alnif, Nekob, before arriving in Adgz, located in the Draa Valley. Once we arrive in the hotel we’ll take a 1.5 hour walk in the palmery with views of the palmery. We’ll enjoy a traditional dinner at the hotel. We’ll head back to Marrakech after breakfast, arriving mid-afternoon.